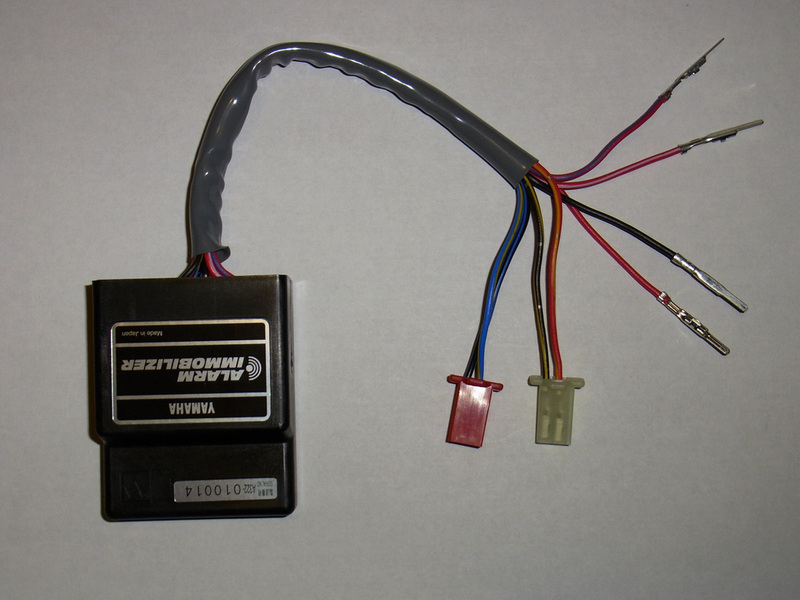 Yamaha Y's Gear Alarm/Immobilizer for Yamaha VMX1700 "V-Max"
The Yamaha Y's Gear Alarm/Immobilizer (Product Code: A322) is for GEN2s that do not have the "Program Key" ignition immobilizer system, in addition to adding an audible alarm feature, which the OEM Immobilizer System does not have. The installation is relatively easy but does involve cutting and splicing into one wire on the right handle bar control switch assembly's wiring harness. 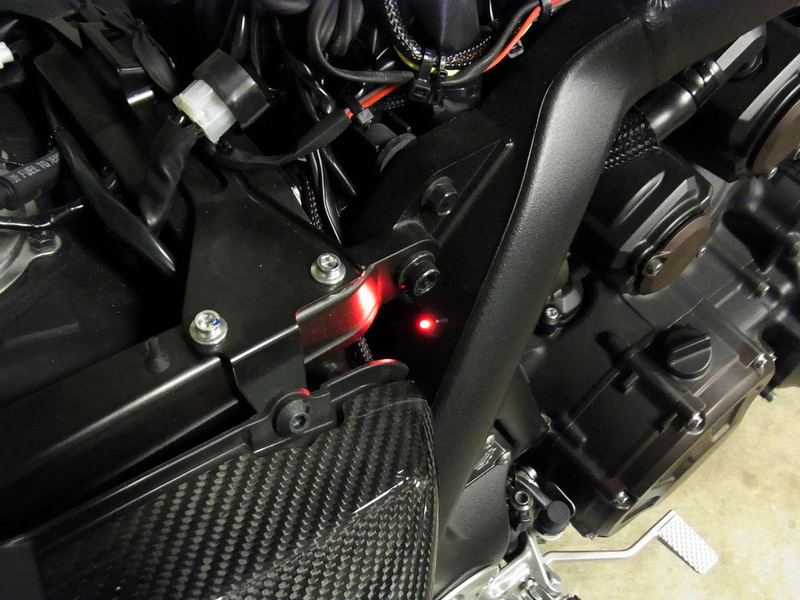 The total installation time is approximately 2-3 hours and once installed, all vital components are well concealed within the bike and tampering is virtually impossible as, once "armed", any tampering will set off both the audible and visual alarms and make the bike inoperable until the alarm/immobilizer has been acknowledged and reset. The Yamaha Y's Gear Alarm/Immobilizer is Manufactured by Yamaha and Sold through Yamaha Y's Gear stores.